Ms. Patel, as a Certified Physician Assistant is licensed by the State of Texas through the Texas State Medical Examiner's office to provide Family Practice care. 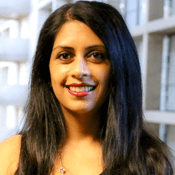 Ms. Patel graduated with a Bachelor of Science Degree from the University Of Texas Southwestern Medical Center and a Masters Degree from The University of Nebraska. Ms. Patel completed her Clinical rotation in Internal Medicine at Scott & White Hospital, her Surgery, Orthopedics, and OB/GYN rotation from Parkland Hospital, and her Pediatrics and Adolescent Medicine rotation from Scottish Rite Hospital of Dallas. Ms. Patel brings to Metroplex Medical Centres a commitment to Women's Health issues and Preventative Care Medicine. She also has a special interest in Thyroid Disease, Hypertension, Diabetes, and Cardio-Vascular Disease. Ms. Patel is a clinical preceptor for UT Southwestern Students and Past Professor at UTSW.